Posted on February 25, 2019 at 10:00 am. Age Friendly Edmonton’s Knowledge to Action grants were created to tell the stories of people in this city working together to make our community a place that values, respects and supports the well-being of seniors. With the assistance of a writer, each organization created a “storybook” to capture their work. 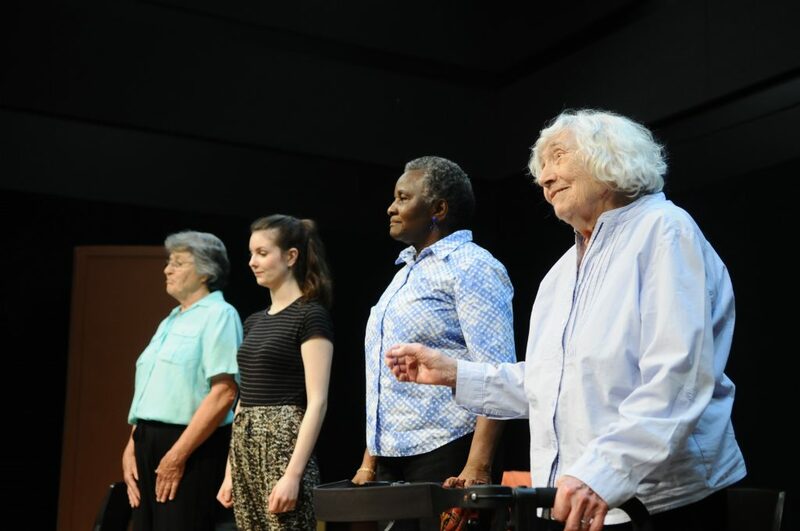 The GeriActors embarked on an intergenerational playwriting and teaching initiative. They wrote and performed new plays that viewed growing older from multiple generations. In addition to playwriting they worked with a high school drama class and created a teaching manual to help prepare more people to be able to facilitate experiential intergenerational theatre storytelling. Read our story here: Telling the Story of GeriActors. 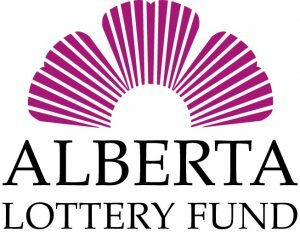 Thank you to both Age Friendly Edmonton and the Alberta Lottery Fund who helped us develop our new plays over the last few years. Posted on May 29, 2018 at 3:34 pm. The GeriActors & Friends is currently made up of 16 seniors and 5 Friends. This spring we have performed in Edmonton, Stony Plain, and Hanna! Join us for our last show of the year, see what we’ve been working on, and meet the cast! In collaboration with Age Friendly Edmonton, the GeriActors & Friends have written 5 NEW plays! With stories about family, history, love and dating, ageism, abuse, and maintaining our health and independence these plays explore what it means to be a senior in Edmonton. Be Careful – Renovations, bank loans, blueprints, and more. The lengths we go to keep our family safe. Claire & Jacob – From the 60’s to today four people share their stories of coming out. Love Me Tinder – Times have changed. Life has sped up and online dating is the worst. In one minute you’ve said yes or no to 10 people. What’s next? Breaking up before you meet? Gertrude is about to find out. Reading the Signs – Just as they are inventing rear view cameras, warning buzzers for changing lanes, self-driving cars, and car-sharing deals, I have to give up driving. Sanctuary – A play about elder abuse and finding your sanctuary.